The Underground Source Magazine (a Robb Publishing Online Media Group property) aims to be a premium source online for underground music and the talent behind the music. We interview songwriters, beatmakers, producers, musicians, executives and more. We want to hear from you if you're any of the above: publishing@robbent.com. Don't forget to follow our Spotify playlist where we curate tracks from underground musicians. theusmagazine.com: First: Tell the people a bit about yourself? Jovan: I am a 19-year-old Physics student from Belgrade, Serbia. I consider myself to be a very ambitious producer. Most of my free time I spend making music. theusmagazine.com: What made you get into music? Jovan: Music, precisely Hip-hop, has been a big part of my life since I was very young. Although I have a great love and appreciation for music and music producers, I never really thought about dabbling in it. It all actually happened very spontaneously. While I was hanging out with my longtime friends, like usual, we were freestyle rapping for fun. Then, an idea popped into our heads: why wouldn’t we try this for real? My friends wanted to be rappers and I figured I could be the one who made the beats. Despite the fact that I had no knowledge about music production, surprisingly enough it motivated me, even more, to give it a try. I went home that night, installed FL and it was love at first sight. From that night on, I have been making beats almost every day, and have improved substantially. theusmagazine.com: Who are some of your influences? Jovan: I would say Mac Miller is the artist that had the most impact on me growing up. I have listened to him all throughout my elementary and high school years. He kind of shaped me. Each of his albums incredibly reflected my life at certain points and therefore helped me cope with some situations or problems. I love emotional music. I highly respect artists who are capable of sending a message and evoking emotions throughout their lyrics, such as Mac Miller and Yung Lean. Other than that, whenever I hang out with my friends we listen to all sorts of music. In the end, it’s all about the vibes and the way the song makes you feel. theusmagazine.com: What do you have coming up in 2019? Jovan: My whole life I had very ambitious dreams and goals. When I grew up, I realized that in order to achieve big things, you have to start with smaller and more realistic goals. In 2019 I want to focus on learning and making connections with people who share the same interests as me. I want to learn as much as possible and create good stuff! I want to improve every single day. For the first half of 2019, my goal is to release my first beat tape with a friend of mine and also possibly release my first project with an upcoming rapper! I am very excited for 2019 and can't wait to see what opportunities it will bring. Since day one, I felt that I was destined to do great things with my life and achieve a lot, but I never knew what to do or which path to take. That is, of course, until I found music production. Creating music gives me a real sense of fulfillment and happiness. theusmagazine.com: Where can people hear your stuff? 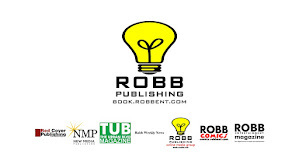 Copyright Robb Publishing/Robb Entertainment Corporation. Powered by Blogger.